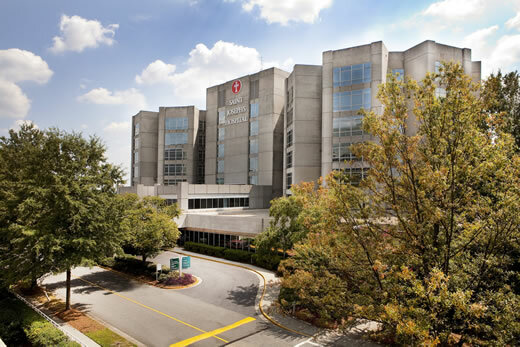 The Advanced Heart Failure Center at Emory Saint Joseph’s Hospital has expanded to a new location on the hospital’s campus at 5671 Peachtree Dunwoody Road, Suite 520. This location includes additional exam rooms to accommodate the continued growth of the Center as well as the ability to provide efficient patient care. The Center partners with community cardiologists to optimize the health status and quality of life for patients with heart failure. This includes close monitoring after hospitalization, evaluation for advanced therapies, potential enrollment in research studies, and patient education. The Center offers a six-week education program for patients called Heart Failure University that focuses on understanding and coping with heart failure, nutrition, exercise and medications. The Center is one of only 23 institutions in the nation with an accredited Advanced Heart Failure and Transplant Cardiology training program, including certified heart failure experts. In addition to David Markham, MD, the Center’s medical director, Donald Jansen, MD, board certified heart failure and transplant cardiologist, has been an integral part of the program since its inception in July 1987. Jeffrey Miller, MD, cardiothoracic surgeon and surgical director of the program, implanted the first Heartmate II LVAD (left ventricular assist device) in March 2009 and continues as the implanting surgeon at Emory Saint Joseph's Hospital. For more information or to contact the Heart Failure Center, call 678-843-5801.